Jessica Zamiska is a Managing Director of Grants at McAllister & Quinn. 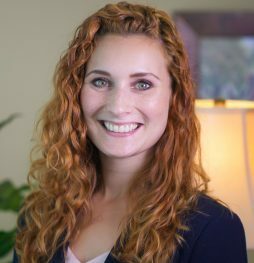 Jessica draws on her broad experience as a grant writer, project manager, and nonprofit fundraising professional to provide both technical and strategic advice to the firm’s clients in the healthcare, higher education, and non-profit industries. Prior to joining McAllister & Quinn, Jessica Zamiska worked in the nonprofit sector for 10 years and has held fundraising positions at The George Washington University, New York University, Chatham University and the Westmoreland Museum of American Art. At GWU, Jessica worked as a School Research Administrator, managing a pre-award portfolio of $10M, and assisted PIs with proposals to NSF, NASA, NIH, and various foundations. At NYU, Jessica managed the Society of the Arch, a society honoring donors who have made outright six-figure gifts and pledges. Throughout her tenure at Chatham University, Jessica managed an annual portfolio of $8M and was responsible for all state and federal submissions as well as foundation grants $50,000 and under. She submitted to agencies including NEA, USDA, NSF, and DoED, and assisted with the NEXT Campaign for Chatham, a $100M Capital and Endowment Campaign. At the Westmoreland Museum of American Art, Jessica was part of a fundraising team charged with the strategy and execution of the $38M capital campaign and worked on winning proposals for a variety of local and national foundations, corporations, and government. In addition to fundraising, Jessica has experience planning events and programming. From 2008-2009, she was the graduate intern for the Pittsburgh Cultural Trust where she scheduled programming and helped to facilitate performances for their International Children’s Theater Festival. She also planned a variety of regular and special programs such as Art on Tap happy hours, Westmoreland Jazz Society concerts, and fundraising events for the capital campaign at the Westmoreland Museum of American Art and facilitated board of trustee and high-level donor events and receptions at NYU.